How do social inequalities shape access to education, and what can counselors and admission professionals do to help students navigate an increasingly complex array of postsecondary choices? 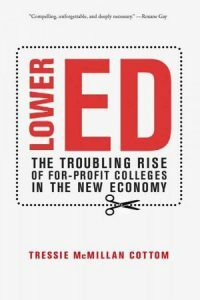 Discuss those questions and more on Monday during a #NACACreads discussion of Lower Ed: The Troubling Rise of For-Profit Colleges in the New Economy. The chat will kick off on Twitter at 2 p.m. ET. Author Tressie McMillan Cottom will participate in the hour-long discussion, and there will be plenty of opportunities for you to share your own thoughts about the book, as well as for-profit colleges. Read more about the club. 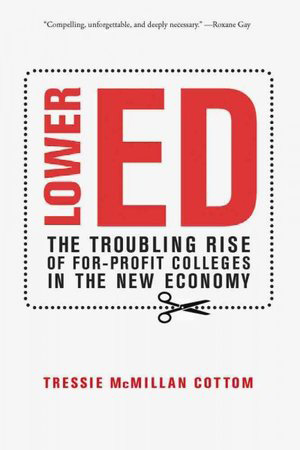 Check out an excerpt from Lower Ed. Learn how to participate in a Twitter chat. Can a non nacac member join the twitter book discussion? Yes! Hope to see you online! #NACACreads is open to all!